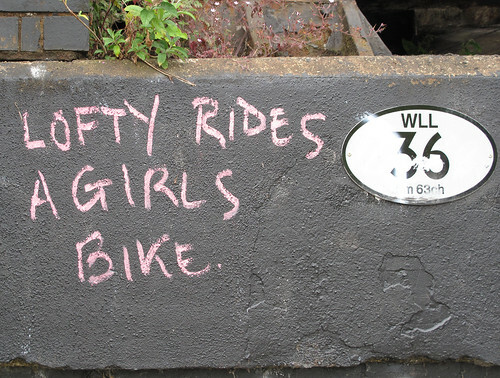 Lofty Rides A Girl's Bike, originally uploaded by Dave Gorman. We have some fancy Roberts D.A.B. radios to give away on my Absolute Radio show - not to mention a lot of softmints. A year's supply to be precise. Not that I think it's possible to be precise when measuring a year's supply of softmints... but then I don't think it's really worth quibbling with to be honest. The point is someone somewhere has tried to work out what a year's supply of mints is and it doesn't really matter what it is they came up because I promise you it's a lot of mints. Anyway... we'll be giving away a radio - and some softmints - every week for a wee while and the person we give it to will simply be our favourite softy of the week. You can interpret the word 'softy' any way you like. It might be a story about you being all romantic but it might just as well be a story of you backing down in the face of a bully. It's up to you. Share your softy story with us via the show's website here - and if we read yours out, we'll send you a radio and the mints. Lots of them. Mints that is. It'll just be the one radio. Yep. You can watch episode one of Genius on the BBC's iPlayer. That's what I meant. There's also a late(r) night repeat of the show on Saturday night: BBC2 at a quarter to midnight. And of course, episode two will be on next Monday at 10pm. Sorry. 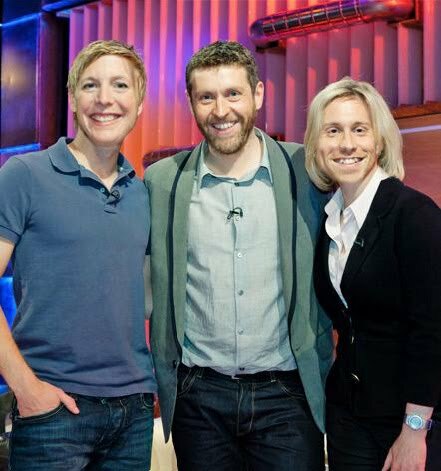 I mean Russell Howard & Hazel Irvine. That's right. Or do I mean Hazel Irvine & Russell Howard? Using @bbcgenius on twitter and the Genius group on facebook encouraged loads more people to get in touch with loads more ideas. But nobody sent more than Pat Harkin. Which is why when he was in the audience we surprised him with this. Incidentally, the silly Mastermind theme music that sings Pat's name... that was recorded by our producer Simon and researcher Dan without telling me. So if I look a little surprised by it... I was. Have I mentioned that the series starts on Monday night? At 10pm. On BBC2. I apologise if this appears to be two posts in a row on a similar subject but... well, it's more a post about online manners than anything else. 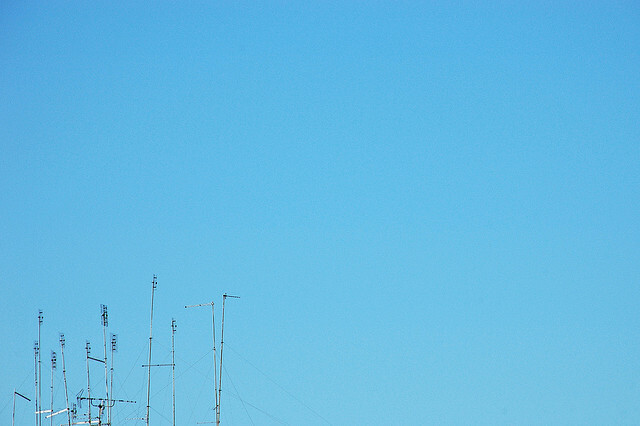 I have a Flickr account. I use it to post photos. 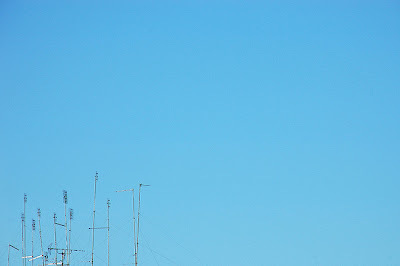 I like photography because it's a creative outlet that has nothing to do with how I make my living. It's just a hobby, no more no less. Flickr allows people to comment on photos. Occasionally people use that facility to comment on other things. When that happens on my photos I delete the comments. I figure there are loads of ways of getting in touch with me so I keep my flickr pages kind of clean and on-topic: photography. It's not a photo that offers an opinion about Christianity or faith. 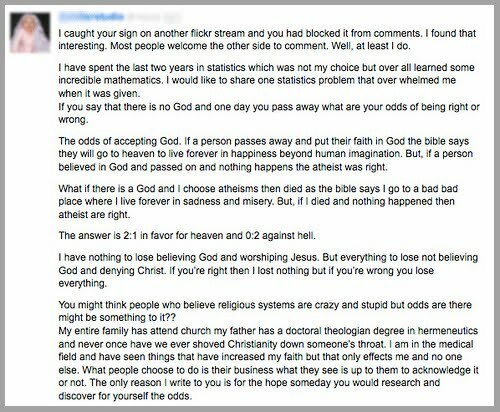 There were no other comments on the photo that related to Christianity or faith. It seems obvious to me that the comment is more than a little out of place. I have no idea what he means with the opening sentence. I recognise all the words but they don't add up to a sentence with any understandable message. I'm sure other flickr users would be as confused as I am by the words, "I saw your sign on another fickr stream." Wha? 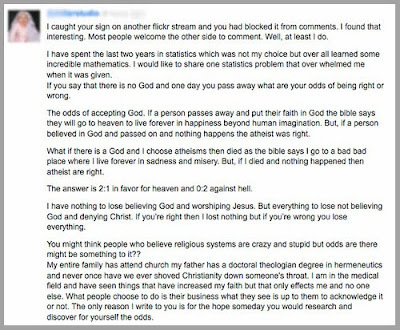 My favourite line in the comment is, "and never once have we ever shoved Christianity down anyone's throat"... which is just perfect in the middle of a post that seems to be doing exactly that. Of course, having deleted it I was immediately accused of censoring him and of not being able to handle the truth etc etc etc. I engage in online discussion and debate freely and often. There are loads of ways people can get in touch with me. But there's a time and a place. A comment like this left on a photo like that makes the person leaving the comment the online equivalent of the maddo on the bus who sits down and starts talking to you about Jesus. (Or candy floss, or blisters or anything else for that matter) Deleting the comment - and blocking them - is really just moving to a different seat on the bus. By the way... I don't want to start a discussion on the merits of his words. I'm just not that interested. I love that the post before this one yielded a polite discussion on a subject that almost always becomes inflamed - especially online. For what it's worth, he seems to me to be behaving in a way that will annoy people of every stripe. If you disagree with him that's obvious. But I think his oafish, shoving-things-down-people's-throats behaviour does a disservice to those who agree with his opinion also... because he just contributes to a negative stereotype that isn't helpful to anyone. So if you want to leave a comment let's keep it on the subject of online manners rather than the subject raised by the man who had none. Oh... and I've blurred out his ID so as to avoid anyone seeking him out on flickr. It's not worth it. 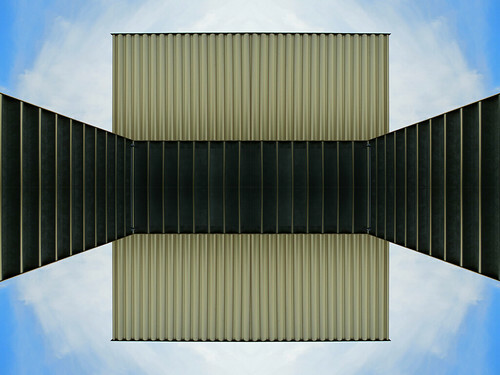 Nottingham Contemporary (Flipped & Stitched), originally uploaded by Dave Gorman. But I do want to ask a genuine question about the phrase Christian Values. I'm not asking because I know the answer. It's a genuine question. The thing is, when someone defines Christian Values to me they always sound to me to be lovely values. But they also seem to be values that aren't exclusively Christian. Indeed they seem to be values that are shared by pretty much every other faith. And by people without faith too. But when someone talks about, say, British Values, they normally mean "values that are particularly British"... in other words, values you wouldn't normally expect to find in other nations. When someone says, "I expect the fans of this club to give the manager time because that's how they do things here, those are the values of this football club," the implication is that these aren't the values at most other football clubs. So, when people say, Christian Values, do they mean values that are peculiar to Christians. And if so, what are they? Because, well, because they seem to me to be just, well, Human Values. Am I wrong? I'm not asking about the way in which anyone arrives at a belief. That seems far less important to me than the end result. (Although I know which route I prefer). I'm talking about the beliefs themselves. Some of the ideas submitted by video. When one's finished, you can click on one of the reels and find another idea lurking in the Genius Generator there as well. I liked the toilet paper pants myself. I'd not seen that one before. I'm delighted to say that Genius is now in the schedules. It's going to go out on BBC2 on Monday nights at 10pm. Mondays. At Ten. On BBC2. Got that? Good. It starts on September 27th. If you came to any of the recordings then you know the show has a very different format to last year. In series one there was some tongue in cheek pomp and ceremony with the guest in a throne and the potential geniuses entering on a revolving stage. With hindsight all of that was taking up time that should have been spent hearing more ideas, putting in some more actual content. We used to get through 4 or 5 ideas in a show - and because they were ideas that had been pre-selected, I always knew what they were and we pretty much always had a prop built for each one. It gave us some great moments but it also committed us to spending a certain amount of time with each and every idea. We all wanted to make the show looser this time around. So instead of inviting 4 or 5 people to each show, we've invited 70. And instead of having one guest per show we've got two. And on one occasion, three because, hey, you can't have just the one Hairy Biker now can you? So the show has become more of a forum where every one of those 70 people can get involved and share their ideas and the guests can investigate some and dismiss others. There are still a couple of things in each show where I know what's going on and we've built this or that - but by not doing it every time it's much less predictable. On the whole I think it makes the show much more relaxed, improvised & free flowing. In most episodes - in fact, I expect all of them - we'll hear from 20-30 people... that's more than we squeezed into the whole of the first series. We've got a load of extras that we'll be putting up as online exclusives as the series rolls along. 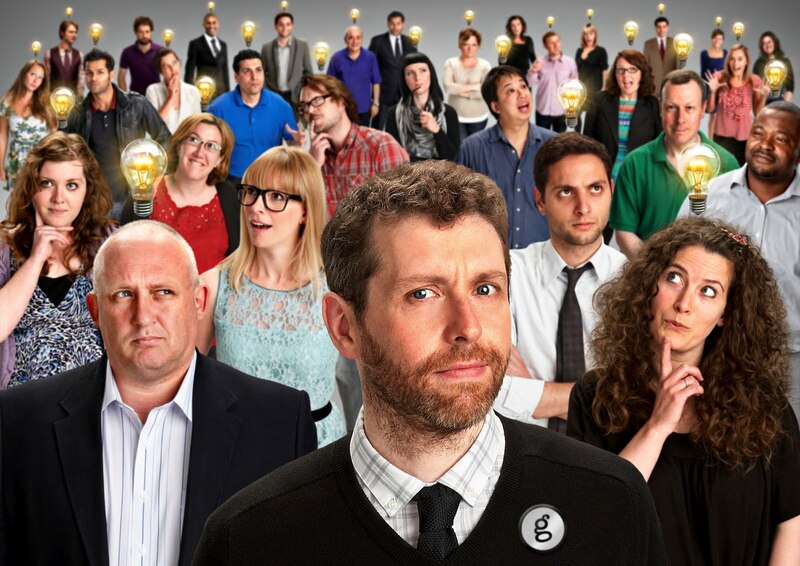 There's a behind the scenes video and a Genius Generator - a collection of ideas sent to us on video - up on the BBC Comedy blog right now. But, um, yeah... it on Monday nights. It starts on September 27th. It runs for 6 weeks. I hope you like it. It comes from a man called Tolch. He wanted his submission to go before the committee. It worked too. We're shallow like that. It's what every authoritative committee needs. 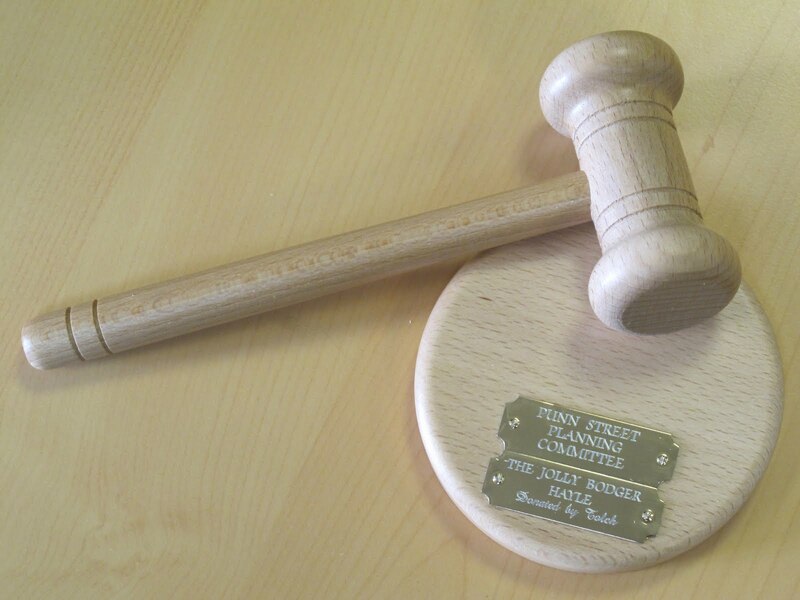 The Pun Street part of the podcast will now have extra added gavel. Much has been written today about google's interactive, bouncing logo. Will it be here to stay? Is it a one off? What's it commemorating? Nobody seems sure. The Telegraph speculated here, and the Guardian here (includes a video of the logo moving for those who missed it) and as the day has gone on most of these articles have been rewritten to include the idea that it's probably just here to celebrate google's birthday. I apologise. I am a child. You have every right to expect better. Given the amount of e-mail I'm getting about Jim Killeen and his movie - Google Me - I think it's probably worth me writing a few words here about it. If nothing else, it'll give me something to point people towards instead of typing out the same old reply over and over. 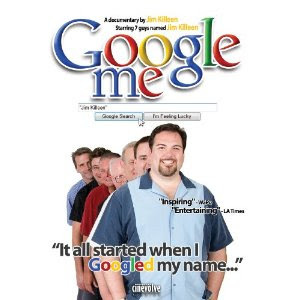 So, here's the thing... Jim Killeen's film is a documentary about him googling his name and then trying to meet and interview other Jim Killeens. I don't know much more than that. I haven't seen the film. But my inbox suggests that a lot of people are getting a bit angry on my behalf. Most of them ask if I've seen it, if I've contacted lawyers, if I'm suing him or any other variations on that theme. It's kind of flattering that people feel, um, kind of protective towards me and I really do appreciate that people are looking out for me but my attitude is that it really doesn't matter. In fact, I don't even think it's all that similar to things I've done. I suspect in most cases people are conflating two of my previous projects and getting themselves a little confused. For those who are unfamiliar with my past - and I never expect anyone to know my cv inside out and backwards - many years ago I went looking for 54 of my namesakes. But I doubt very much that I'm the first person to have done something involving namesakes and I was certainly never going to be the last. But not having seen Jim's movie I can't say that there's any other similarity. I don't think there is. Now, imagine a world of smart phones and Google. I'm in the pub. I mention to my friend that I'd heard the Assistant Manager of East Fife was called Dave Gorman. He doesn't believe me. Instead of the conversation leading us to board a train bound for Scotland, one of us would have whipped out a phone and used Google to prove a point. And that would have been that. The first domino wouldn't have toppled and there would have been no chain of events. There would have been no story to tell. The very thing that makes Jim's film tick is the same thing that would have prevented my story from even beginning - the readiness of information. This is the reason that I turned down offers to do a sequel. We didn't meet my namesakes in order to make a TV show. We made a TV series out of stuff that had happened. There's an important distinction. But a second series never made any sense to me because it could never have been a genuine and authentic story. We'd have had the resources of a TV company on our side. We'd have been able to find a whole series worth of namesakes in advance of filming any of it. Then we'd have been able to plot the best journey between them. So where would the story be? And what would we be doing it for? To make a sequel? What kind of motivation is that? It just doesn't make any sense to me as an idea because it would inevitably involve having to manufacture pretend hardships and that would be an insult to the genuine tale I'm so proud of. I'm not suggesting that googling people and going to meet them is a redundant exercise per se, just that it's not what I did. Nor would it have made sense (to me) to do a second series under such different circumstances because it would have to have been either a completely different type of show or just a manufactured - and therefore, somehow dishonest - piece of work. The other story I've told that people seem to conflate with it is Googlewhack Adventure. I'm not surprised by this. I've got used to meeting people who've never seen any of my stuff but think they know what I've done because they've read this or that in the press etc. (And I'm sure I do the same about other people all the time) On many occasions I've met people who sort of know that I once met some namesakes or something and also know that I did something with Google in the title and they, just, well, they just assume they're the same thing because it sort of makes sense. And I guess it does. Sort of. But Googlewhack Adventure's got nothing to do with it. Again it's not really a story about an internet word game. It's another story about how one thing leads to another; about a chain of events - about a breakdown. And one of the things that precipitated it was my frustration at the cartoonish wacky-namesake-hunter people assumed me to be. I turned down the Are You Dave Gorman? sequels and the merchandise and so on for - what I think were - healthy reasons. A less healthy part of my make-up reacted to the same pressure to be that guy in a different way and, eventually, Googlewhack Adventure was the result. So genuinely, Jim's project doesn't seem to me to be all that similar. If I catch it one day I'll let you know if I still think that. It's a film I'd never have made but that doesn't mean it's a film that nobody should make. It might be brilliant. I hope it is. Either way, there's no value in wasting energy in getting upset. The next thing is always more exciting than the past.